Certainly the highlight of any vacation is discovering a great new restaurant, cafe or bakery. The Maine Lakes and Mountains region restaurants offer a variety of wonderful foods, from traditional Maine seafood favorites, farm-to-table dining, to special regional dishes. Ask us about Maine or share Maine restaurant news, reviews and comments. To feature your Maine restaurant, contact us. Did we miss something? 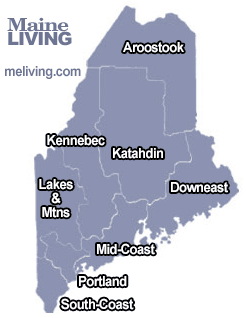 Add your Lakes & Mountains region Maine Dining update or comment.